Ahhh (sign of relief), a New Year and time for some new music... of course, first we should catch up with some other great releases from 2011. 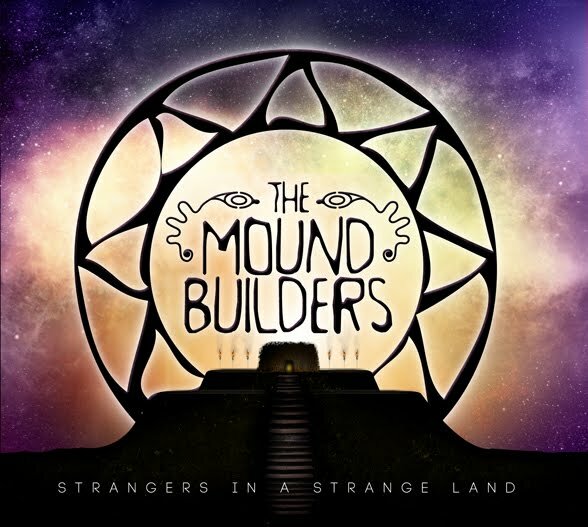 Which is exactly what we have here, The Mound Builders: Strangers in a Strange Land. The Mound Builders are a riff rockin, groove metal band from Lafayette, Indiana, waving high the flag of heavy groove and southern inspired metal. Although seeing many line up changes, The Mound Builders have overcome adversity and stitched together a solid quintet, worthy of the horns. Clutch's influence is noticeably strong with The Mound Builders. Jim Voelz summons power through his bold Neil Fallon-esque vocals, all while 'Dinger' Brookhart (drums) and R. R. Strawsma (bass) bludgeon with a sludgy foundation. B. Boszor and Ninja's guitars wail and riff their way into your ear drums, but it's the clarity and definition of the bass line that truly sale Strangers in a Strange Land for this listener. The album opener 'Wake of the Red Witch' is an intense and fast paced instrumental. Not a filler, but a welcome addition to Strangers in a Strange Land, only building anticipation. Strangers in a Strange Land continue on, trudging and snaking through groovy tracks like 'Hessians of Stone' and 'Ironhide'. 'Winding River' has a very distinctly 'Clutch' sound. I don't know if its the moan of the guitars or Voelz's croon. I do know that it is an excellent jam (check out their new video for the tune below). 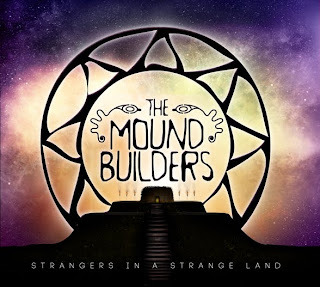 The Mound Builders conclude Strangers in a Strange Land with 'Narcomancer'. Narcomancer begins with a very grungy guitar riff followed up by a strong drum roll. The grit continues for another five minutes, when The Mound Builders take a turn for swamp. There we are drowned in the muddy waters of this Strange Land. Taking notes from Clutch and Fu Manchu, The Mound Builders deliver a muddy, fuzzy, and catchy album that will grow on you. The first few listens, I wasn't very impressed, but The Mound Builders found a way to coax me back, again and again. The album is streaming, in its entirety, over at bandcamp. Be sure to give The Mound Builders a listen and let us know what you think. The Mound Builders... I have to go with a strong 7 out of 10. The Seventh Seal, a ripping ride through post-apocalyptic Cleveland, has bullied its way into the #6 spot on the Amazon Kindle Best Sellers Top 100 Paid list for Contemporary Fantasy and #12 in Action/Adventure.